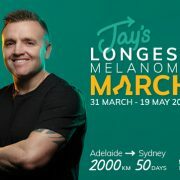 IPAR is excited to participate in Jay’s Longest Melanoma March (March 31st-May 19th) this year. Melanoma survivor Jay Allen, the leader of the march, will traverse the 2000km between Adelaide and Sydney over 50 days (March 31-May 19) to raise much-needed funds for a clinical trial at Melanoma Institute Australia. IPAR, along with a substantial army of supporters whose lives have been affected by melanoma, will be in tow to help pump up funds for research. 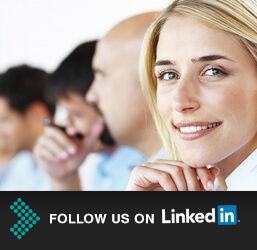 IPAR’s involvement came about after Hayley Van Elst from the IPAR Gold Coast office provided the inspiration. Hayley, who lost her mother to melanoma, got on board with the fight to find a cure when she learned her mother had just three months to live. The 2000km-long walk starts at Henley Square in Adelaide on March 31st and stretches across Melbourne, Canberra, Albury, Nowra and Wollongong and to Sydney over the next 50 days. As part of our IPAR in the Community program, we are inviting IPAR team members to join a number of small teams who will take part in various day-long legs of the walk.